이 글은 sachabarbs 님의 글을 번역? 한 것입니다. 번역이 매끄럽지 않습니다. 유념하시어 참고만하시기 바랍니다. 저는 아주 특별한 사람 Peter O'Hanlon 에게 특별한 감사를 표합니다. Peter O'Hanlon 은 code Project 의 Legend 이며 다방면에서 멋진 친구입니다. 이 엄청난 article 을 검토해도 되겠냐는 저의 요청에 Peter 는 자신의 사업을 운영하는 가족이 있는 사람이며 자신만의 멋진 아이디어를 가졌음에도 불구하고 즉시 예라고 말해 주었고, 일을 마칠수 있게 해주었습니다. 고맙습니다 Peter. 당신께 경의를 표합니다. 실제로 저는 Very 를 (말장난을 용서하세요.) 만들고 싶었지만 단순한 uber type 의 Uber app 을 만들었습니다. 그 app 에는 다음과 같은 기능적 요구사항이 있습니다. 클라이언트가 사용할 수 있는 web interface 가 있어야 합니다. Client 는 "driver" 가 될수도 탑승하는 "Pickup client(승객)"이 될 수도 있습니다. "Pickup Client" 가 사용할 수 있는 web interface 가 있어야 합니다. 그래서 "Pickup Client" 가 선택한 "Pickup Client" 의 위치를 지도에 표시합니다. "Pickup Client" 는 Pickup 임무를 요청 할 수 있습니다. 이 경우 "Driver" 가 이 임무에 대한 지역에 있는 입찰자 입니다. "Pickup Client" 의 위치는 "Driver" 의 지도상에 보여져야 합니다. "Driver" 는 "Pickup Client" 의 임무에 입찰하며, 입찰한 "Driver(s)" 의 위치는 "Pickup Client" 에게 보여져야합니다. 입찰에 참여한 "Driver" 의 수락한 정보는 "Pickup Client" 에게 보내집니다. "Pickup Client" 가 "Driver" 를 수락하면 할당된 "Driver(s)" 의 위치만 "Pickup Client" 현재 지도상에 보여집니다. "Driver" 에 의해 픽업되어 "Pickup Client" 가 행복하면 "Pickup Client" 는 "Driver" 를 1~10 점으로 평가할 수 있으면 "Driver" 또한 "Pickup Clinet" 를 1~10 점으로 평가 할 수 있습니다. "Pickup Client" 가 임무를 "완료"로 표시한 후에만 평가를 할 수 있습니다. "Driver" 나 "Pickup Client" 는 항상 자신의 이전 평가를 볼 수 있어야 합니다. 여러분에게는 아이들 장난처럼 보일수도 있지만 (단순히 CRUD 작업을 사용한다면 나에게도 그렇겠지만), 저는 이 App 이 학습경험을 위한 것이기 때문에 간단한 SignalR Hub 와 두개의 database table 을 사용하지는 않을 것입니다. 저는 이 프로젝트를 평소와는 다른 완전히 다른 기술 Set 을 사용하여 작성하려고 합니다. 사용할 수 있는 가능한 기술들. (React/Webpack) 같은 기술들은 다른 blog 에서 다루어졌겠지만 이중 일부는 새로운/통찰력있는 자료가 될 것으로 생각됩니다. Webpack 에 대해 들어본적이 없어서 새로울 수 있겠지만 여러분에게 충분한 정보가 되길 기대합니다. 천마디 말보다 더 잘 설명하는 한장의 그림이 있습니다. 수많은 의존관계에 있는 JS 파일을 웹에 배포하는 것이 그리 쉬운일이 아닐겁니다. 이때 사용하는 것이 WebPack Module Bundler 입니다. webpack 에게 시작 JS 파일을 알려주면 참조관계에 맞추어 Bundle JS 파일을 생성해주며, WoojjaLibrary 라는 이름의 component 를 생성해줍니다. SystemJS.import 에서 시작 JS 파일을 알려주고 있습니다. tsc -v 을 통해서 TypeScript 의 Version 을 확인합니다. Version 이 낮은 상태로 변경이 되지 않는 경우가 있습니다. "C:\Program Files (x86)\Microsoft SDKs\TypeScript\1.0" 폴더를 삭제해 줍니다. 저는 그냥 "1.0_" 로 폴더 명을 변경해 주었습니다. 그리고 tsc -v 로 확인하면 Version 이 올라간것을 확인 하실수 있을 겁니다. Angular is created using typescript language. So if you are doing development with Angular, typescript is the way to go ahead. HTTP 는 단순히 web Page 만을 serving 하기 위한 프로토콜이 아닙니다. 서비스와 데이터를 노출하기 위한 API 를 구축하는데 강력한 Platform 이기도 합니다. HTTP 는 간단하고 유연하며 Ubiquitous 합니다. 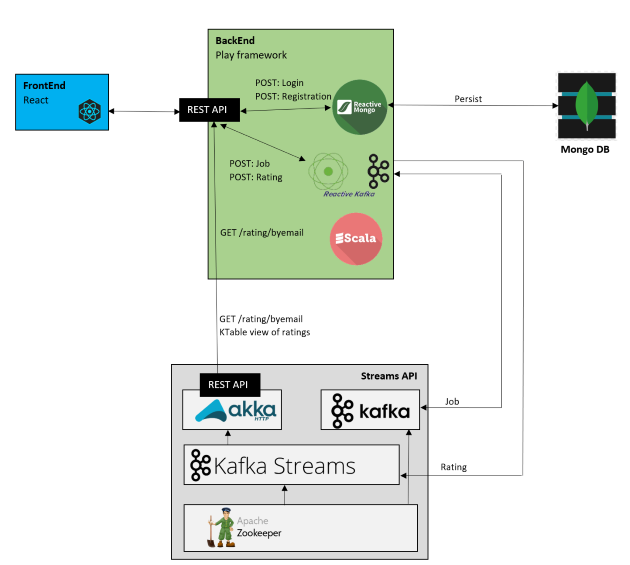 머리에 떠오르는 거의 모든 Platform 에는 HTTP Library 를 포함하고 있으므로 HTTP Service 는 브라우져를 포함한 모바일 기기, 전통적인 데스크탑 어플리케이션에 이르기 까지 광범위한 클라이언트까지 연결할 수 있습니다. ASP.NET Web API 는 .NET Framework 기반위에 Web API 를 구축하기 위한 Framework 입니다., 이 Tutorial 에서는 ASP.NET Web API 를 사용하여 Product 목록을 반환하는 Web API 를 생성합니다. 이 Tutorial 에서 ASP.NET Web API 를 사용하여 Product 목록을 반환하는 Web API를 생성합니다. Front-end web page 는 jQuery 를 사용하여 결과를 표시합니다. Visual Studio 를 시작하고 Start Page 에서 New Project 를 선택합니다. 또는 File Menu 에서 New 를 선택하고 Project 를 선택합니다. Template 창에서 설치된 Templates 를 선택하고 Visual C# Node 롤 확장합니다. Visual C# 아래에 Web 을 선택합니다. Project Template 목록에서 ASP.NET Web Application 을 선택합니다. Project Name 에 "ProductsApp" 을 입력하고 OK 를 클릭합니다. 새 ASP.NET Project 대화상자에서 Empty template(빈 템플릿)을 선택합니다. "Add folders and core reference for"("폴더 및 핵심 참조 추가") 하단의 Web API 를 Check 하고 OK 를 클릭합니다. [!주목] "Web API" Template 을 사용하여 Web API Project 를 생성할 수도 있습니다.. 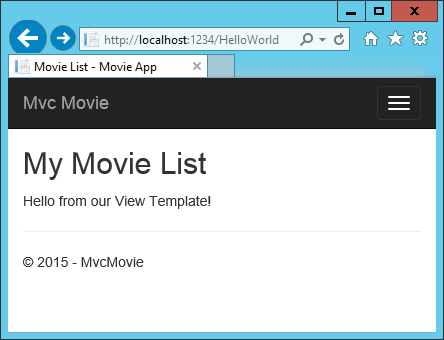 Web API template 는 ASP.NET MVC 를 사용하여 API Help Page 를 제공합니다. MVC 없이 Web API 를 작성하는 모습을 보여주기 위해 Empty template 을 사용합니다. 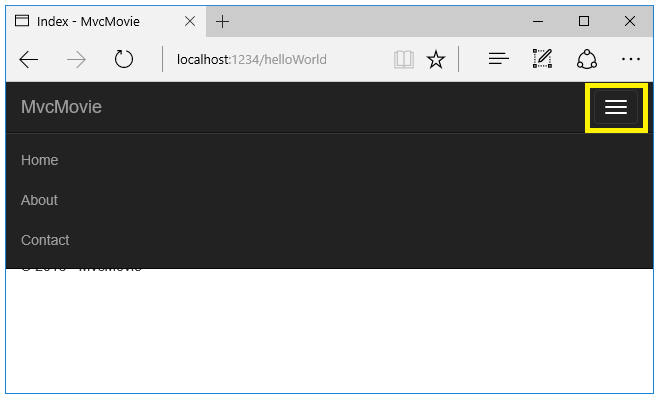 일반적으로 Web API 를 사용하기위해 ASP.NET MVC 를 알필요는 없습니다. Model 은 application 에서 Data 를 표현하는 객체입니다. ASP.NET Web API 는 model 을 JSON, XML 또는 다른 형식으로 자동적으로 직렬화해줍니다. 그리고 직렬화된 data를 HTTP Response Message 의 Body 를 작성합니다. Client 가 직렬화된 형식을 읽을 수 있다면 Object 를 Deserialize 할 수 있습니다. 대부분의 Client 들은 XML 이나 JSON 을 Parsing 할 수 있습니다. 게다가 HTTP request Message 의 Accept header 를 설정하여 원하는 format을 표시하는 것도 가능합니다. 그럼, Product 를 나타내는 간단한 Model 을 생성하는 것 부터 시작해 봅시다. Solution Explorer 가 아직 보이지 않는다면, View Menu를 클릭하여 Solution Explorer 를 선택하십시오. Models 폴더를 마우스 오른쪽 버튼으로 클릭합니다. 나타난 Context Menu 에서 Add 를 선택하고 Class 를 선택합니다. Class Name 으로 "Product"를 지정합니다. Product Class 에 다음 Properties 를 추가합니다. Web API 에서 Controller 는 HTTP Request 를 처리하는 객체입니다. 이제 Product 목록 이나 지정한 ID 의 단일 Product 정보를 반환하는 Controller 를 추가합니다. 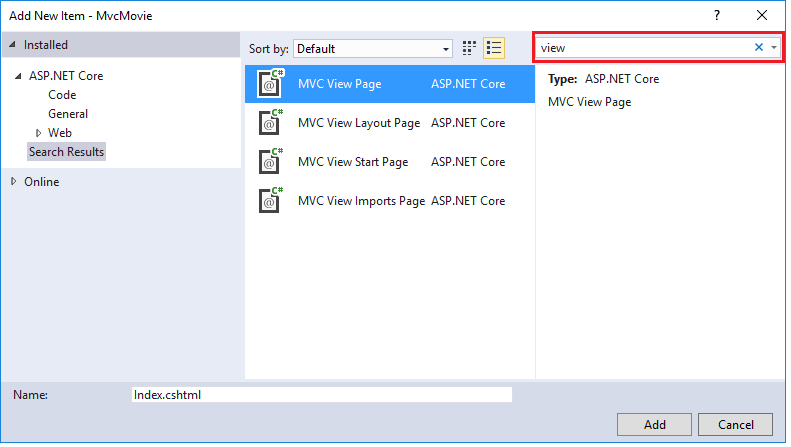 [!주목] ASP.NET MVC 를 사용해 본적이 있다면 이미 controller 에 익숙할 것입니다. Web API Controller 는 MVC Controller와 유사하지만 Controller class 대신에 ApiController Class 를 상속합니다. Solution Explorer 에서 Controller folder 를 마우스 오른쪽 버튼을 이용하여 클릭합니다. Add 를 선택한 후 Controller 를 선택합니다. Add Scaffold 대화상자에서 Web API Controller - Empty 를 선택합니다. Add 를 클릭합니다. Add Controller 대화상자에서 Controller 이름을 ProductsController 로 지정합니다. Add 를 클릭합니다. Scaffolding 은 Controller folder 에 ProductsController.cs 라는 이름의 파일을 생성합니다. [!주목]Controller 파일들을 Controllers 라는 이름의 folder 에 넣지 않아도 됩니다. Folder 이름은 단지 Source 파일들을 구성하기위한 편리한 방법중 하나입니다. 파일이 아직 열려있지 않다면, 파일을 더블클릭하여 엽니다. 열린 파일의 코드를 다음의 코드로 대체합니다. 예제를 단순하게 유지하기 위해서 Products 는 Controller Class 내부에 고정된 배열로 저장되어 있습니다. 물론 실제 application 에서는 database 나 다른 외부의 data source 로 부터 Query 하여 사용합니다. Controller 에서는 Product 를 반환하는 두가지 Method 를 정의합니다. GetAllProducts Method 는 Ienumerable<Product> 형식의 Product 전체 목록을 반환합니다. GetProduct Method 는 ID 로 단일 Product 를 조회합니다. GetProduct Method URL 의 id 는 placeholder 입니다. 얘룰 둘어 ID 가 5인 product 를 조회하는 URL 는 api/products/5.입니다. Web API 가 HTTP request 를 Controller method 로 Route하는 방법에 대해서는 Routing in ASP.NET Web API 를 참조하십시오. 이번에는 Web API 를 호출하기위해 AJAX 를 사용하는 HTML page 를 추가합니다. AJAX 호출을 만들고 반환된 결과로 Page 를 Update 하기 위해서 jQuery 를 사용합니다. 솔루션 탐색기에서 Project를 오른쪽 마우스 버튼을 클릭하여 Add 를 선택하고 New Item 을 선택합니다. New Item 대화상자에서 Visual C# 에 포함된 Web node 를 선택하고 HTML Page item 을 선택합니다. Page 의 이름은 "Index.html" 으로 지정합니다. jQuery 를 가져오는 방법에는 몇가지방법이 있습니다. 이 예제에서는 Microsoft Ajax CDN 을 사용했습니다. http://jquery.com/ 에서도 다운로드 받을수 있으며, ASP.NET "Web API" project template 에도 jQuery 가 포함되어 있습니다. product 목록을 조회해오기 위해서 "/api/products" 로 HTTP GET Request 를 보냅니다. jQuery getJSON function 은 AJAX request 를 보냅니다. response 에는 JSON 객체의 배열이 포함되어 있습니다. done function 은 request 가 성공했을 때 호출될 callback 을 지정합니다. callback 에서 product 정보를 가지고 DOM 을 update 합니다. ID 로 Product 정보를 가져오기 위해서는 "/api/products/id" 로 HTTP GET request 를 보냅니다. 여기서 id 는 Product ID 입니다. AJAX request 를 보내기 위해 이전과 동일하게 getJSON 을 호출합니다. 하지만 이번에는 request URI 에 ID 를 포함시킵니다. 이 request 로 부터 전달된 response 는 단일 Product 로 표현된 JSON 입니다. ID 로 Project 를 조회하기 위해서는 ID 를 입력하고 Search 버튼을 클릭합니다. 유효하지 않은 ID 를 입력하면 server 는 HTTP 오류를 반환합니다. HTTP Service 를 이용하는 작업을 할 때 HTTP Request 와 Response Message 를 확인하는 것은 매우 유용합니다. Internet Explorer 9의 F12 개발자도구를 사용하면 이 작업이 가능하다. Internet Explorer 9 에서 F12를 툴러 도구를 엽니다. Network Tab 을 클릭하고 Start Capturing 을 누릅니다. 이제 Web page 로 돌아가서 F5를 눌러 Web page 를 새로고침합니다. Internet Explorer 는 browser 와 web server 간의 traffic 을 capture 합니다. summery page 는 page 에서 일어난 모든 network traffic 을 보여줍니다. 상대경로 URI 중에서 "api/products/" 항목을 찾으십시요. 이 항목을 선택하고 Go to detail view 를 클릭합니다. 상세 View 에 request 와 response 의 header 와 body 를 볼 수 있는 tab 이 있습니다. 예를 들어, Request headers Tab 을 클릭하면 Accept header 속에 client 가 요청한 "application/json" 을 확인할 수 있습니다. Response body tab 을 클릭하면 product list 가 어떻게 JSON 으로 Serialized 되어 있는지 확인할 수 있습니다. 다른 browser 들고 유사한 기능을 가지고 있습니다. 다른 유용한 Tool 로는 Fiddler 가 있으며 web debugging proxy 입니다. Fiddler 를 사용하여 HTTP traffic 을 볼 수 있으며. HTTP request 를 재구성하여 request 의 HTTP header 를 완벽하게 제어할 수 있게 해줍니다. 완성된 site 가 실제 구동하는 web app 으로 실행되는 모습을 보는 것은 어떻습니까? 다음 버튼을 간단히 click 하는 것만으로 여러분의 Azure 계정에 앱의 전체 버전을 배포하는 것이 가능합니다. 무료로 Azure 계정을 여십시오 - 유료 Azure service 를 사용할 수 있는 credits 를 얻습니다. 모두 사용한 후에도 계정을 유지할 수 있으며 무료 Azure service 를 사용할 수 있습니다. MSDN 구독자 혜택 활성화 - 여러분이 가진 MSDN subscription 은 매월 유료 Azure service 를 사용할 수 있는 credits 을 지급합니다. POST, PUT, DELETE 를 지원하고 Database 를 작성하는 HTTP service 에 대한 더 많은 예제는 Using Web API 2 with Entity Framework 6 를 참조하십시오. HTTP service 상에서 작동하는 유동적인 반응형 Web application 을 생성에 대한 자세한 내용은 ASP.NET Single Page Application 를 참조하십시오. Azure App Service 에 Visual Studio web project 를 배포하는 방법에 대한 정보는 Create an ASP.NET web app in Azure App Service 를 참조하십시오. Framework Version 2 이후의 MVC와 Web API 간의 주된 차이점은 Web API handler 의 경우 HttpTaskAsynHandler 의 Subclass 인 반면 MVC 버전의 MvcHandler 는 IHttpAsyncHandler 를 직접 구현하였다. 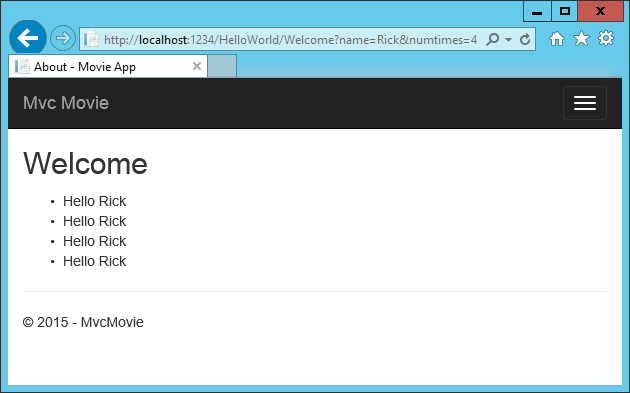 HttpTaskAsyncHandler 는 Web API 2 에서 지원되는 .NET version 인 .NET 4.5 에만 있다. 동일한 ASP.NET process 내에서 MVC와 Web API 를 동시에 구동할 때 ASP.NET 은 HttpApplication을 사용하게된다. Request 가 들어오면 MapRequestHandler event 에서 사용할 Http Handler 를 결정한다. 이 단계에서 route matching 이 일어나고 request 는 선택된 route 와 관련된 IRoutHandler 를 통해 이동하게된다. IRouteHandler 의 유일한 목적은 request 를 처리(handle)할 수 있는 IHttpHandler 를 생성하는 것이다. 만일 IRouteHandler 가 HttpControllerRouteHandler (Web API route) 라면 Web API 경로가 선택되어 Request 는 HttpControllerHandler 에서 끝마치게되며, 반대로 Route Handler 가 MvcRouteHandler 라면 MVC 경로를 취하여 MvcHandler 로 이동한다.